The school values and depends upon the support and co-operation of our parents. Their interest and contribution are essential in the education of the children. We aim to establish a real partnership with parents so that every child feels secure in the knowledge that we are working together. We work to ensure that every child is happy in our school. The staff greatly value parental involvement. 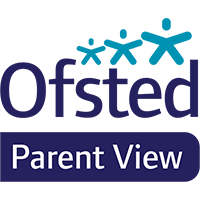 We like to keep parents involved about their child’s progress and so all parents are invited to individual parent/teacher consultations during the autumn and spring terms. During the school year we hold curriculum evenings for parents to explain aspects of the curriculum the children are being taught. We also have an open morning where parents can visit the school and see the children at work.